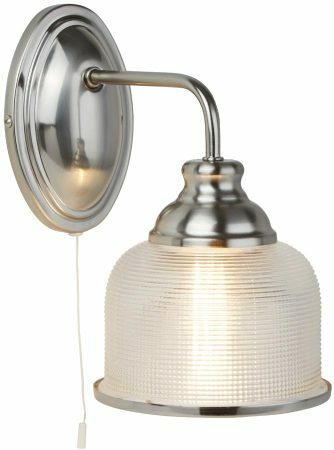 This Bistro II satin silver finish switched single wall light with retro style Holophane glass shade has vintage chic and modern practicality. Featuring a cameo wall mount, top mounted arm and large spun shade fitter, with downward facing Holophane glass shade and satin silver finish trim. Fitted with a convenient pull cord switch. This vintage inspired wall light makes an impact in any environment with its striking combination of satin silver and Holophane glass. The cameo wall mount leads to a simple arm and beautiful shade, with complementing metal trim making it perfect for use on any dining room, hallway or living room wall. There are matching fittings available in the Bistro 2 satin silver finish lighting range that includes a single pendant, two and three-light pendant bars and three and five-light chandeliers; please see below. Also available finished in antique brass. 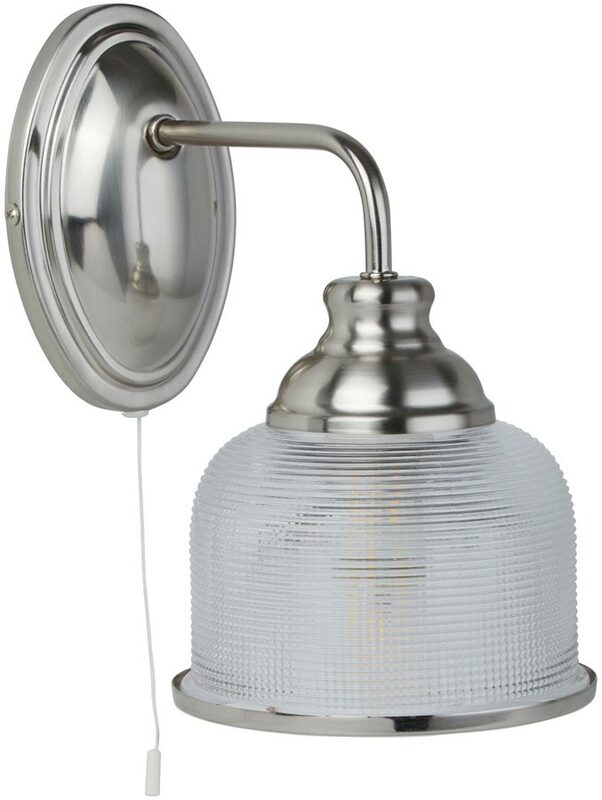 This retro style light is supplied by Searchlight who manufacture some of the best traditional and modern classic designs such as the Bistro II satin silver finish switched single wall light with retro style Holophane glass shade you see here.